Some time ago someone asked me if the KatKat was wrapped in aluminium foil or something else during the Second World War. Well my answer was, it was wrapped in greaseproof paper, because the aluminium was used i.e. for the plane industry. 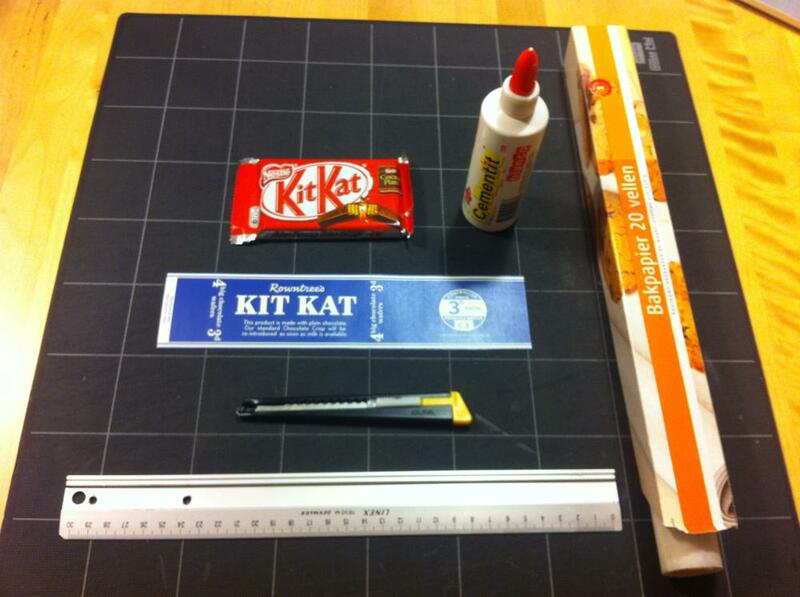 So this question made me think of writing this “How to wrap your KitKat” article. 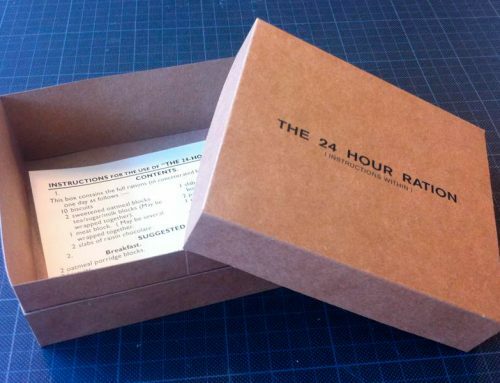 And I hope it helps you creating your own rations for your next event. 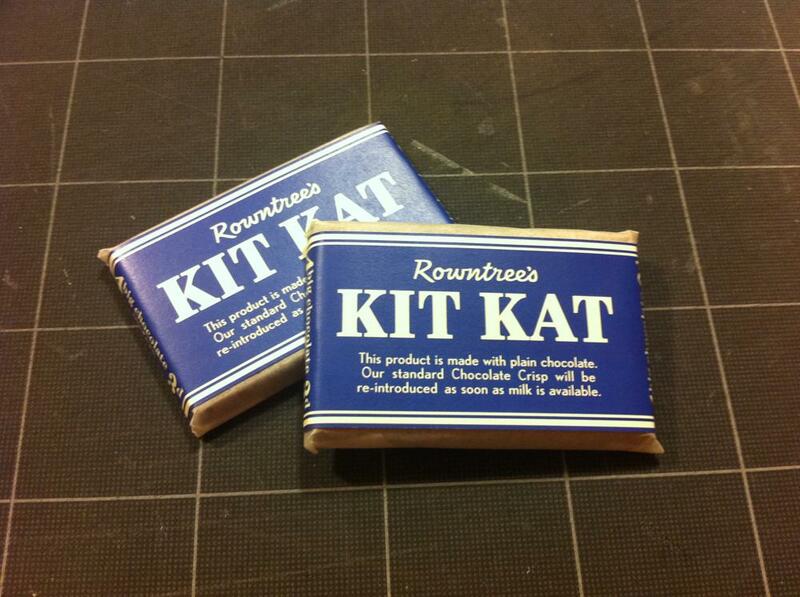 (If you want to know some more about the Blue KitKat label, then have a look at this article). 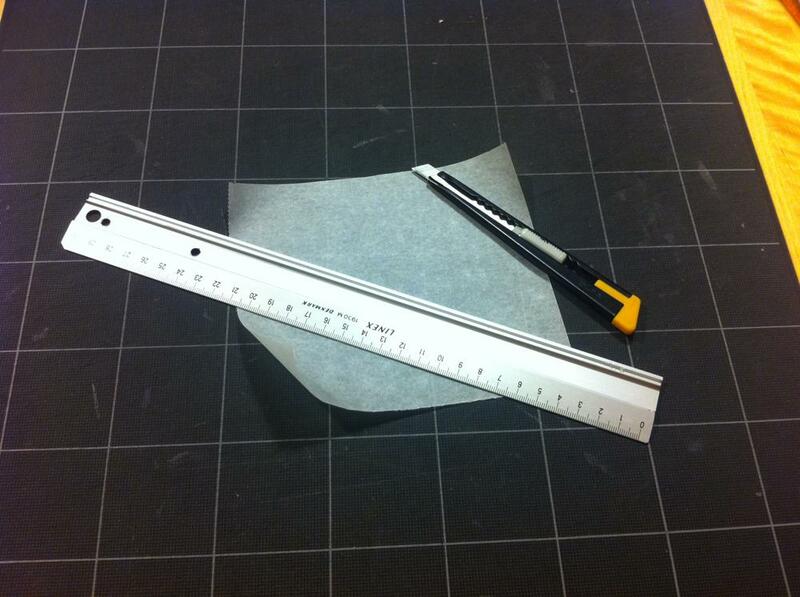 What you do first is cut the baking paper or greaseproof paper in the appropriate size. 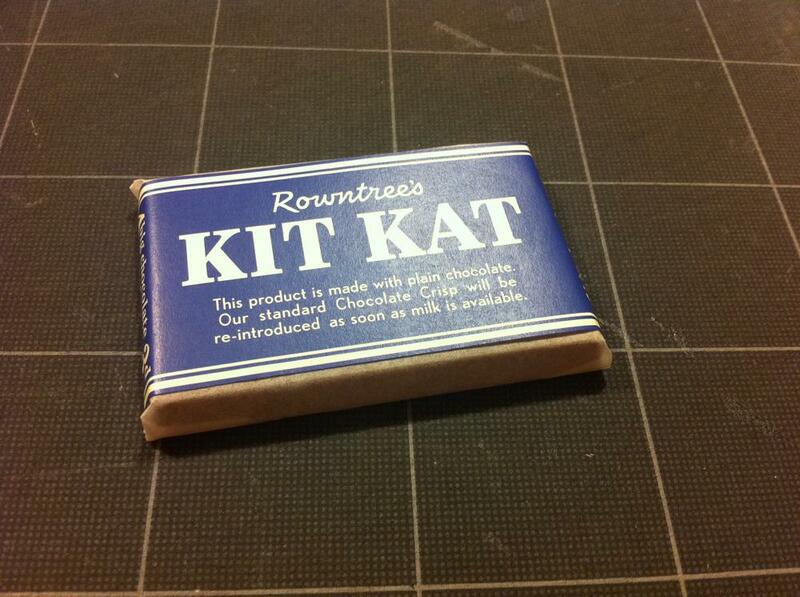 In this case 16 x 16 cm will do to wrap a modern KitKat 4-fingers bar. First you take the modern KitKat bar out of the modern plastic foil and place it onto the piece of baking paper you had cut. 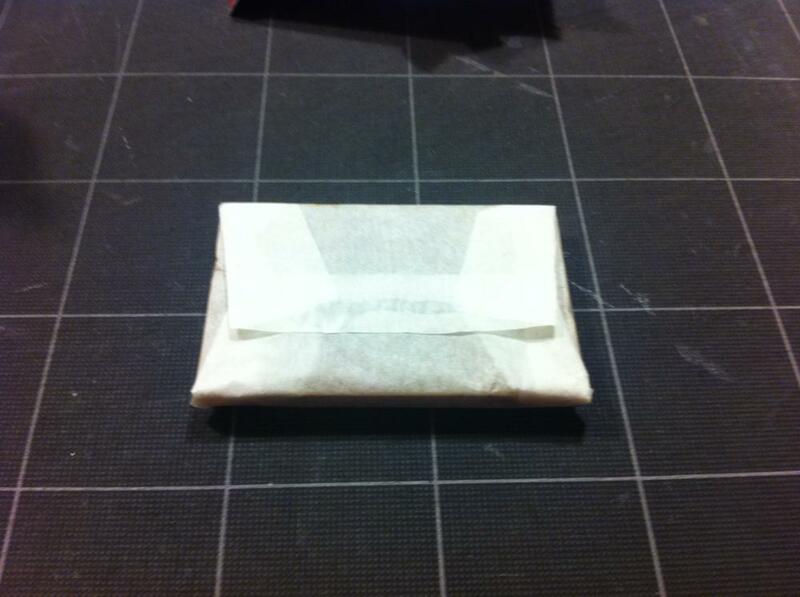 Wrap it in the piece of baking power and apply a tiny little bit of glue to close the wrapper. 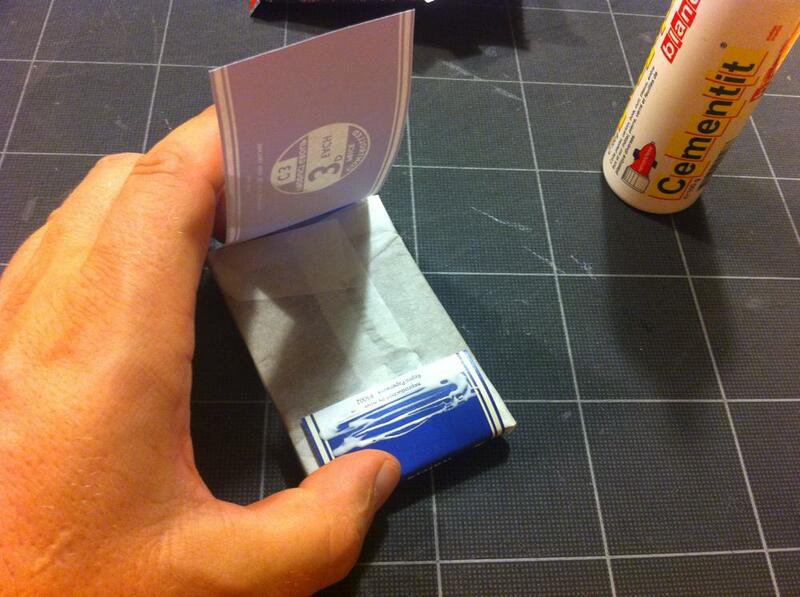 Now you take the reproduction KitKat label and wrap it tight over the KitKat bar. Apply some glue on the label and close it. 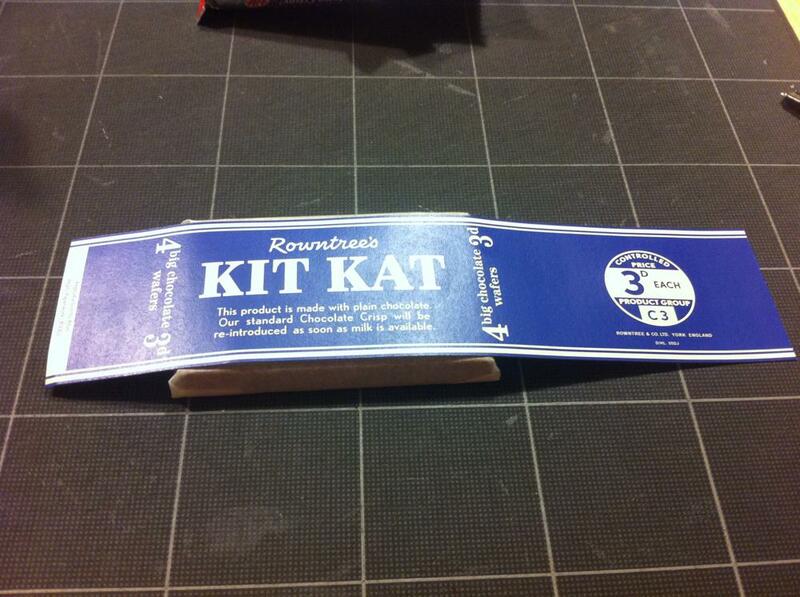 Well this isn’t really a step, because after closing the label you are ready with wrapping your KitKat bar. 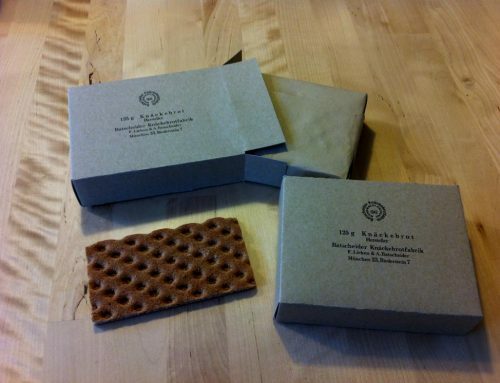 So now your KitKat is ready to be taken with you to your next event. 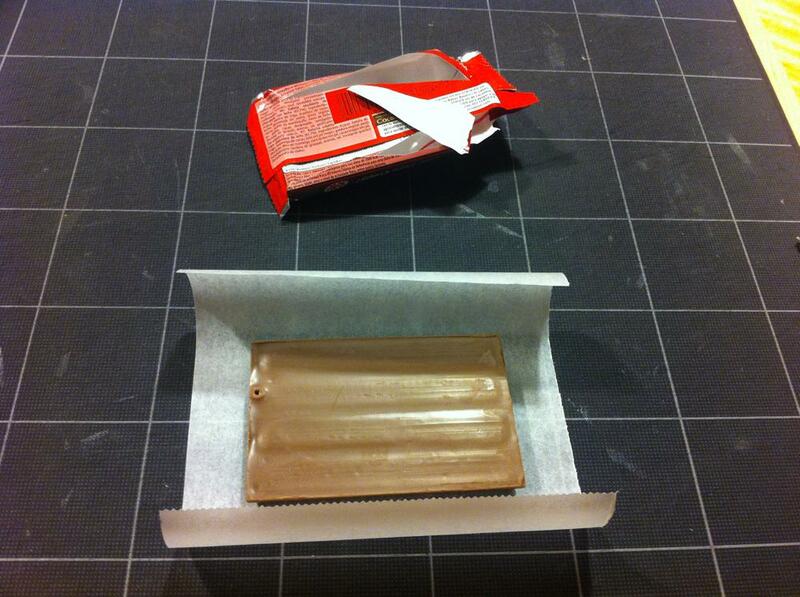 😉 And if you have more KitKat bars, now you know how to wrap them too… Have fun..! Have you used milk chocolate instead of plain chocolate? know when. KitKat make a 4-bar 70% dark chocolate. I find it cheaper to buy the 8 multi-pack 2-bar dark chocolate pack and make up 4 4-bar KitKats. Where can I get the KITCAT wrapping?